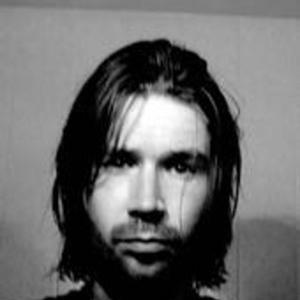 Justin Currie (born December 11, 1964 in Glasgow, Scotland, UK) is a Scottish singer and songwriter, best known as the founder member of the successful band Del Amitri and, along with Iain Harvie, is one of only two members of the group to be present throughout its entire existence. In 2003 he fronted the soul and jazz covers band Button Up for a short tour of Scotland together with The Proclaimers guitarist Stuart Nisbet and drummer Ross McFarlane - who also played with chart-toppers Stiltskin - bassist Gary John Kane and keyboard player Andy May. From 2004 - 2006 Currrie has regularly joined singer songwriters Eddi Reader and Colin McIntyre (aka Mull Historical Society) and Scottish folk band Blazin' Fiddles to perform in Scotland as part of the project "With Strings Attached". In 2004 Currie also teamed up with Kevin and Jim McDermott (of Simple Minds) to record A Terrible Beauty, a comedy rock album which he released anonymously under the name The Uncle Devil Show. Currie also continues to perform live as a solo artist in the UK. In 2006 he was a special guest on Tom McRae's Hotel Cafe Tour. In 2005 he wrote and recorded a new album Rebound, which is currenly scheduled to be released on October 9, 2007. Currie is known for his dry humour and self-deprecation and his MySpace page suggests: "Justin's solo record is called "Rebound" and features eleven thunderously dreary dirges many of which he is currently airing live to pained looking crowds of people in dingy Glasgow basements." Several tracks from Rebound have already been previewed on both the Del Amitri Official Website and MySpace page. Justin Currie was born in a van near Paisley in 1964 in a hailstorm so vicious that it took a team of panel beaters a month to separate his forehead from the roof. Later on, perhaps in the nineteen eighties he started to sing in a strange breathless way, cramming too many words into odd amounts of bars and found himself, with his group of twee schoolboy punks, Del Amitri, getting firmly up the collective nose of the Glasgow white-soul cognoscenti. Much more loathed than loved, and revelling in their outsider status, Del Amitri attracted a dense little coterie of followers in the United States of America who duly set up a nationwide tour funded by busking, badge selling and the refrigerators of those fans' generous parents. Driven half-mental by their experiences the group came home, ditched their indie twiddling and embarked upon a course of songwriting so sickeningly mainstream and Americanised that it led to a long career being spoilt stupid by the radio and recording industries of the English speaking world. Limos to the pub, ponds full of chips, week-long parties in Bognor, that sort of thing. By 2002 the thing had run it's cliched course; the group's fortunes were dwindling and, dropped by a record firm grown weary of their whining, the two chief writers put the band into cryogenic suspension and set about writing two LPs; a Justin Currie Alone affair and an entirely co-written electronic pop masterpiece. Justin's solo record is called "Rebound" and features eleven thunderously dreary dirges many of which he is currently airing live to pained looking crowds of people in dingy Glasgow basements. When forced by penury, politeness or acute fear he can sometimes also be heard to trawl out tired versions of his withered hits. Justin is unmarried and lives a quiet life of standing up and sitting down in Scotland with his two pet television sets.